Congress party hits back at PM Narendra Modi, Calls him a flop hero of flop film. The party further accused him of insulting poor by mocking NYAY scheme. New Delhi: Prime Minister Narendra Modi is a flop actor of a flop film, said Congress national spokesperson Randeeep Surjewala while reacting to PM’s Meerut rally speech. “Today we witnessed hypocrisy and drama in Meerut, historic land of farmers. 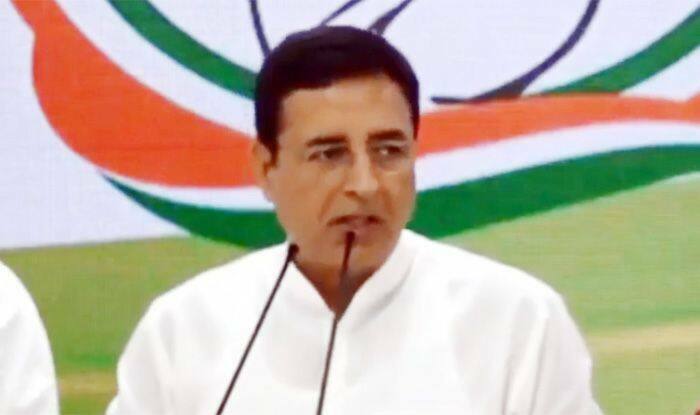 ‘Drama, dhong, nautanki ki bharmar, Nahi Kuch Kehne ko iss baar, aur chalta karo Modi sarkar,” Surjewala stated while addressing reporters soon after PM Modi mega rally in Meerut. “It is unacceptable that PM Modi opposed ‘NYAY’ scheme that empowers the poor of the country by giving Rs 72,000 annually. It is unfortunate that when we speak of ‘NYAY’, PM Modi mocks the poor of the country. Previously he had mocked the poor of the country during demonetisation, this shows his true character. He should apologise to the country for mocking the poor,” Surjewala stated. Furthermore he claimed sugarcane farmers have been duped by the Modi government.”On 4th Feb 2017, when PM Modi visited Meerut, we had witnessed him promising to pay the sugarcane farmers within 14 days. Even today, sugarcane farmers across India are still owed Rs 20,000 Cr, approx Rs 10,000 Cr in UP alone,” he added. Ahead of the commencement of the Lok Sabha elections, Congress president Rahul Gandhi had promised to give Rs 72,000 every year to 20 per cent of the poorest families if his party voted to power in the forthcoming polls. He had claimed that five crore families and 25 crore people will directly benefit from the scheme. “If Narendra Modi can give money to the rich, Congress party will give the money to the poor. We will do justice by the poor people of the country through the Minimum Income Guarantee scheme. Congress party guarantees that 20% of the families below poverty line will get Rs 72000 annually,” Rahul Gandhi said on Monday after Congress’ CEC meet.